Disclosure: This post may contain affiliate links. Using an affiliate link means, I might earn a commission from any purchases through that affiliate link. Spring is finally here, and that means it is time to start sharing some of my best gardening tips for a successful backyard garden this year! With a few tricks up your sleeve, you can easily harvest a great crop of delicious fresh produce from your very own garden this year! I am ready to start digging in the garden and getting that sweet clean smelling soil on my clothes and under my nails! Maybe that is a little odd, but if you love gardening I bet you get it, right? 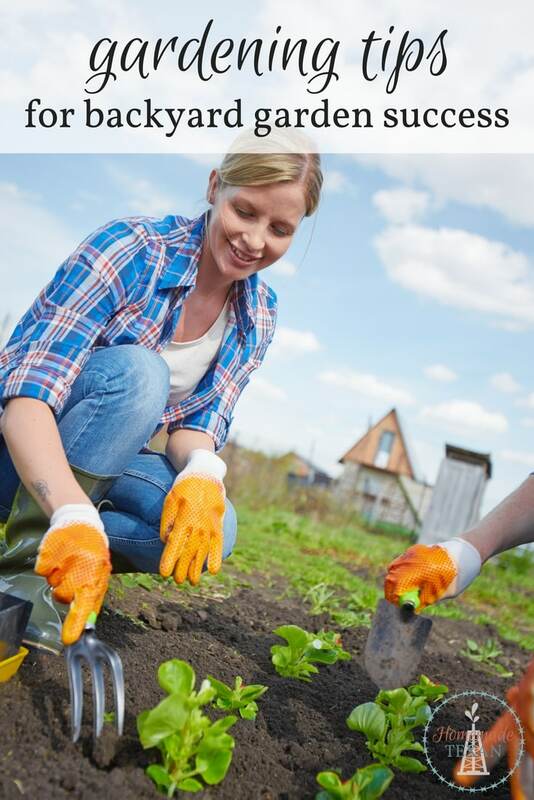 I have been digging in the earth trying to coax food and flowers out for years and have gathered many useful gardening tips that make my backyard garden easier to manage and more successful. I am excited to share a few of these garden hacks with you! Start seeds early indoors in a bit of potting soil. This can save tons of money and is one of the best gardening tips I learned. I save money by using egg cartons, yogurt cups, rotisserie chicken containers, and other similar recyclables to put my starter seeds in. You can also buy starter kits that work perfect for a low price. Use old milk cartons to help with cold snaps. If you are still experiencing cold snaps, you can insulate small plants by rinsing well, then cutting off the bottom of a milk carton. Place that milk carton over the plant at night to protect it from frost. Make a quick, easy, and natural bug sprays for your plants. Combine 2 cups very hot water with 2 teaspoons cayenne pepper, and 2 teaspoons Dawn dish soap in a spray bottle. Tomatoes and roses love to be watered deep in their roots. Plant a 2-liter bottle that you have poked many holes in with them, leaving the open top exposed out of the soil. When you water the holes will saturate the roots. If you have a large container but your plants do not need room for long roots, you can lay torn up cardboard, newspaper, or even foam in the bottom of your container filling about halfway up, this will save money on soil, keep your containers lighter. Foam and Styrofoam don’t decompose, so avoid using those if possible. Crush eggshells finely and sprinkle in your garden to increase calcium. This along with creating your own compost using vegetable and fruit peels, coffee grounds, and similar items from your kitchen can help give you natural fertilizer without cost or chemicals. This is a favorite of my gardening tips that keeps the metal lubricated and rust free! Store your garden tools in a terracotta pot filled with sand that has been mixed with a bit of mineral oil. Use a milk carton to create a watering can. Poke holes in the lid of a plastic milk carton that can be used for your delicate seedlings or container plants. 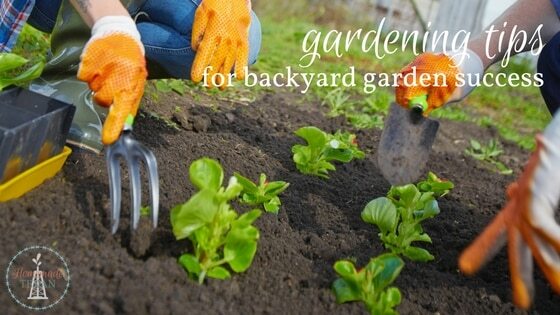 This is also a great backyard garden tip for getting kids involved. It will be lighter weight and easier for your children to carry! Make your own very inexpensive seed tape by rolling out the length of toilet paper you want for each row. Mark where the seeds should go according to your package directions and put a dab of glue on each spot with a seed. Allow it to dry, then roll up until time to plant. You simply unroll in your backyard garden, and you have a simple DIY seed tape! Soak your seeds in water before planting. About 24 hours before planting, soak your seed in water to soften the hull and give your plants a hand in sprouting. These are my own personal top gardening tips to make your backyard garden experience fun and easier this year. Get started early to make the most of the warmer months and build a wonderful stock of fresh vegetables to enjoy with your family this year! Hey y'all! 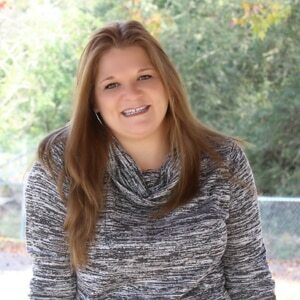 I'm Kristi, a born and raised Texan that has a knack for creativity and taking traditional designs up a notch. I love making rustic DIY home decor designs and southern style recipes that challenge the status quo! Hey y'all! I'm Kristi! Homemade Texan is all things DIY home decor and recipes with a Texas twist!